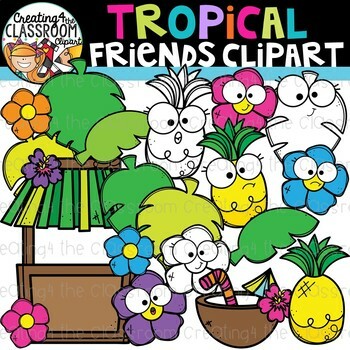 Vibrant and whimsical Tropical Clipart is perfect for adding a fun touch to all of your Summer classroom resources! Images are provided with and without eyes to allow for flexibility in your resources. There are a total of 49 images (28 in color and 21 bw). All images are provided in 300 dpi (png) which allow images to be resized while still maintaining a crisp and clear appearance. 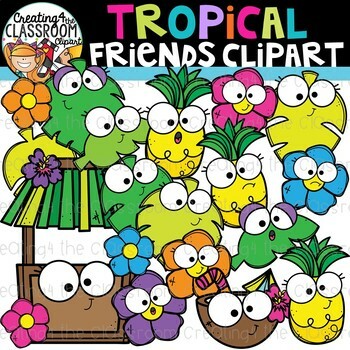 **Please note: This set is part of the money saving Summer Variety Clipart Bundle.